Characterized by pain that emanates from the balls of the feet, metatarsalgia is a common symptom of a variety of conditions associated with overuse or misuse of the feet. Individuals who are most likely to suffer from metatarsalgia are athletes and sports enthusiasts who engage in high impact activities. Poor biomechanics and weight bearing are often considered the most common causes for metatarsalgia. Standing, walking, and running are often mildly to severely impaired in cases of metatarsalgia. This all depends on the level of pain that the individual experiences as a result of the injury. Treatments can vary, but practices like choosing the right footwear are usually sufficient to provide sufferers with substantial comfort and relief. Are you dealing with a bad case of metatarsalgia? Here, I’m giving you a low down on the 8 best Skechers shoes for metatarsalgia and what makes them top notch picks. 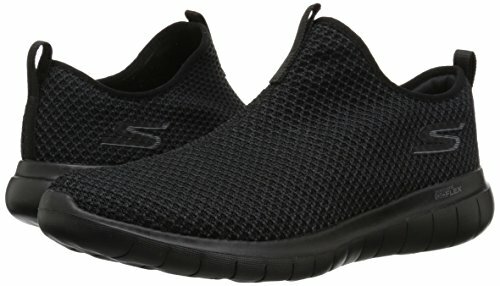 Based on my research, the Go Flex Max Sneaker is the very best shoe from Skechers if you’re looking for something to help ease the pain associated with metatarsalgia. Designed to be exceptionally responsive and flexible, this shoe lets you move without restrictions. The pliable, breathable knit uppers are extremely forgiving, maximizing your range of motion and letting you stride as comfortably and naturally as possible. The shoes feature revolutionary cushioning from the Skechers brand. They use lightweight 5Gen cushioning and Goga Max High-Rebound insoles that give each step extra bounce. This helps reduce the pressure on the soles of your feet, absorbing shock, and reducing impact that could exacerbate metatarsalgia. When it comes to the cost, the Go Flex Max Sneaker are surprisingly inexpensive. 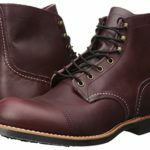 These shoes are also some of the most affordable on this list. 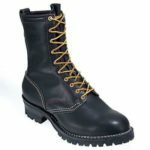 Given that they do last quite a while before they give in to wear and tear, it’s safe to say that these budget-friendly shoes make the perfect purchase if you don’t want to have to find a replacement too soon after you first pop them out of the box. 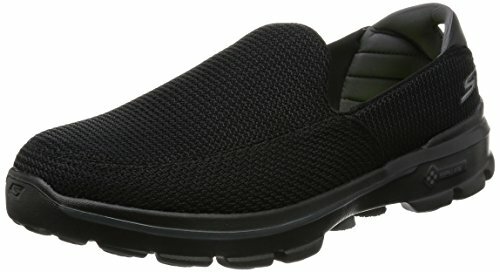 The first runner-up on my list of the most comfortable Skechers shoes for metatarsalgia is the Expected Gomel Slip-On Loafer. Aesthetic wise, there’s not a lot that makes the shoe all too special. I mean, it looks like your average casual loafers. But what really makes them unique isn’t what you see at a glance, but how they perform on the inside. The Expected Gomel Slip-On Loafer boasts an extra-wide interior that gives your feet the room they need without losing lockdown. Insoles are made from premium Skechers Air-Cooled Memory Foam that helps provide substantial responsiveness and comfort. The cushions don’t impede airflow, and actually help facilitate breathability, so the interiors stay cool and comfy even after hours of use. 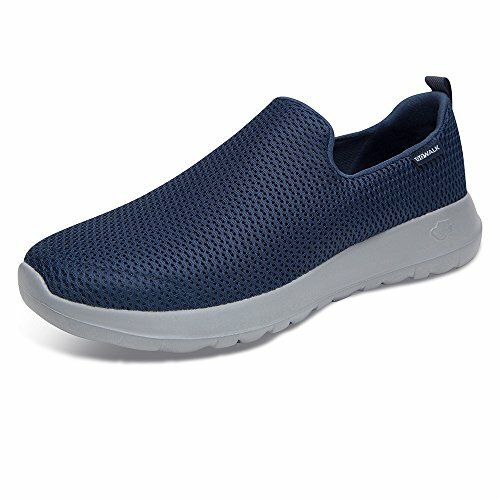 Skechers designed the Expected Gomel to be extra comfortable. So the shoe offers a relaxed, pressure-free fit that’s perfect for daily use. This, combined with its soft pliable uppers, responsive soles, and cushioned insoles are perfect for reducing the stress on injured metatarsals. If you were looking for something a little more durable, then the Expected Avillo Relaxed Fit Slip-On Loafer makes a suitable choice. Made from premium canvas, this shoe’s uppers are well-equipped to face the onslaught of daily wear. The stitching on the shoe is also particularly reinforced, keeping all the different parts reliably put together so they don’t rip away from each other. Compared to the Gomel, the Avillo has a particularly robust sole. This gives it better traction on a variety of indoor surfaces and some outdoor terrain. So it’s easier for users to move from one space to another, or from activity to activity without having to switch out their shoes. Much like the previous shoe, the Avillo also features Skechers’ special Memory Foam insole. The main distinction is that this particular insole design doesn’t have the same Air-Cool feature which makes it a little toastier on the feet. 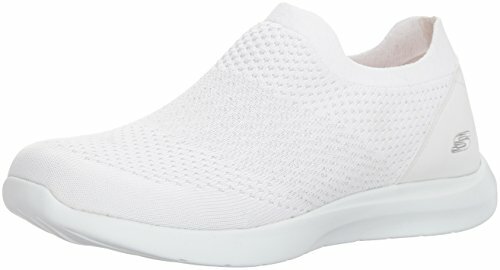 In terms of feel though, not a lot changes, so the Avillo’s still make some pretty comfortable everyday shoes that are guaranteed to help ease your metatarsalgia. 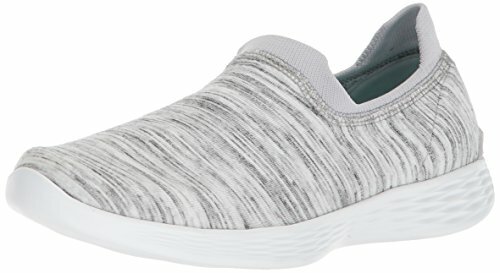 With versatility, movement, and wellness at the center of the Skechers You line-up, each You shoe boasts impressive flexibility, breathability, and comfort that works even without socks. The series of shoes puts emphasis on the natural step – putting focus on the features that make it easier to move without limits. The Zen Sneaker from the You line-up has to be one of the best. This affordable design features a slip-on silhouette that uses clean lines to create a casual aesthetic that works for a variety of outfits and occasions. The soft, stretchy knit material used for the uppers lets you get around without restrictions on your feet. They’re also particularly lightweight, so they’re definitely not cumbersome for extended use. Insoles on the You Zen Sneaker are designed for walking. Giving just enough bounce for a comfortable step, the insoles help reduce impact on the tender joints of the feet and optimize weight distribution for better shock absorption. 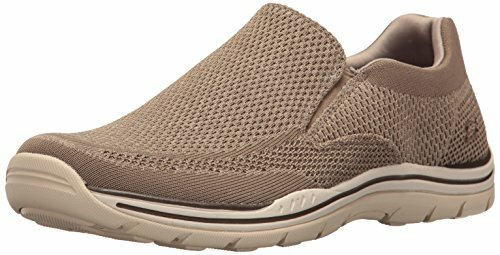 The Skechers Go Walk series is one of their most popular. The line-up owes its success to the smart design behind each shoe which fulfil the brand’s promise to make everyday walking and mobility easier for both healthy individuals and those with special conditions affecting the feet. 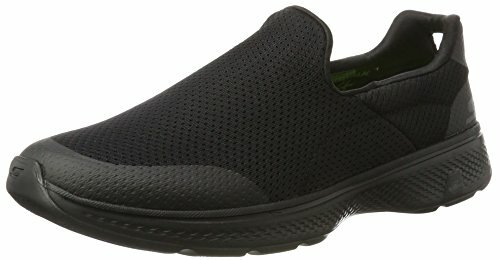 The Performance Go Walk 3 Slip-On Walking Shoe wins a place on my list because it performs really well for the purpose it was intended. Combining comfortable memory foam insoles, responsive outsole Goga Pillars, a lightweight construction, and high-rebound technology thanks to GOga Mat Technology, the shoe makes walking feel like a breeze – even if you’ve got a nasty case of metatarsalgia. 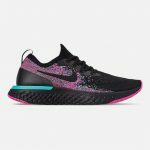 Not to be outdone by its competitor brands that keep coming out with fashion-forward athlesiure footwear designs, Skechers has come up with a variety of choices that prioritize style just as much as performance. A good example of this would be the Studio Comfort Premiere Class Sneaker – an ultra-comfortable leisure footwear design that crosses the border between casual and athletic use. On the overall, the Studio Comfort Premiere Class Sneaker feels a lot like a sock. 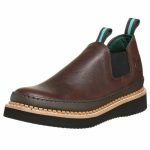 Every part of this shoe is flexible and free, letting you get around with very little pressure or stress on your feet. The uppers are made from featherlight knit material that’s not only easy on the skin, but also extra comfortable on the joints. The sole on the design is just as pliable, feeling almost like a dense fabric itself. Inside the shoe, you’ve got the signature Air-Cooled Memory Foam insole that makes each step less cumbersome on the joints. And underneath, you’ve got a number of grooves that act as articulations that move along with your feet. Searching for something a little more on the sporty side? The Performance Go Walk Max Sneaker looks exactly like those premium athletic shoe designs. But I find it to be much better for metatarsalgia than sport use. Compared to all other shoes on the line-up, this specific design is slightly more reinforced. The uppers are much less ‘sock-like’, and have quite a bit of resistance to them. With that, they might need some breaking in. Regardless, they do get really comfortable after a few uses. The insoles on the Go Walk Max are GOga Mat cushions. These give substantial bounce to reduce pressure and cushion each step. Up front, you’ve got quite a wide toe box to accommodate your toes and reduce the chances of exacerbating metatarsalgia. They’re breathable, lightweight, comfortable, and flexible, which all come together to help provide relief for a variety of foot conditions. Plus the fact that they’re pretty darn affordable means you can buy a pair without worrying about buyer’s remorse. The Go Walk 4 Incredible Walking Shoe closely resembles the Go Walk 3 that I discussed above. The main difference between the two is that the 4 ditches the Goga Pillars outsoles are slightly less prominent. Each pillar is bordered by an equally thick sole material, so they end up more like embedded cylinders rather than pillars that really jut out from the sole. This helps control bounce which might have been slightly more pronounced on the Go Walk 3. The GoGa Mat footbed on the Go Walk 4 has also seen some improvement. The system is a lot more lightweight, giving slightly more density to retain its integrity after months or even years of use. And finally, the uppers on the 4’s are also significantly lighter. This makes them ideal for extended hours of mobility throughout the day. I found that they can give you superb movement freedom and comfort for prolonged use. Metatarsalgia isn’t easy to live with. However because lots of the treatments for the condition can be expensive or tedious, lots of those who suffer from this type of foot pain choose to allow it to persist without resolve. I’m here to tell you it doesn’t have to be that way. Something as simple and affordable as a pair of suitable shoes can be more than enough to help you achieve the relief you’re looking for. 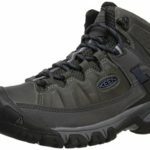 If you’re not sure which shoes will work best, just take a pick from these top 8 Skechers shoes. Each one is guaranteed to be a sound, effective, and reliable choice worth every penny.